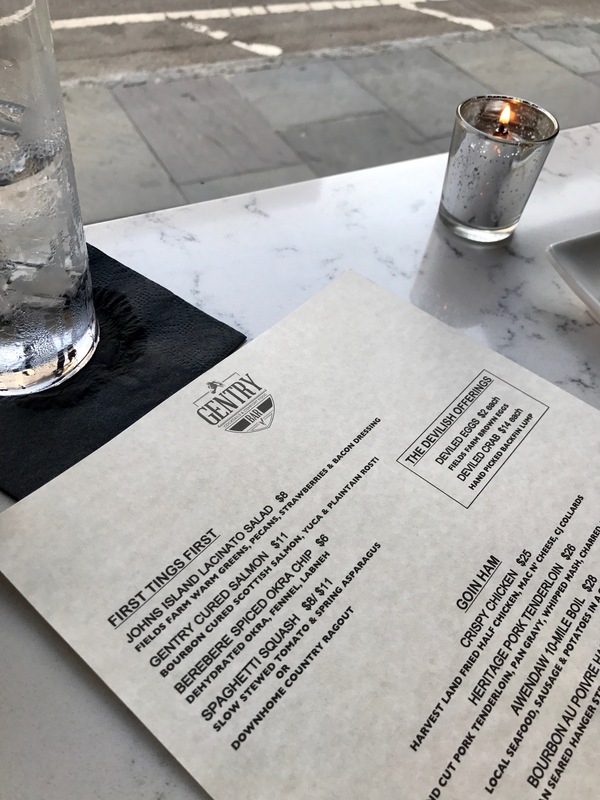 Gentry Room & Bar https://www.facebook.com/thegentrybar/ just opened Friday March 30 and I went last night to see what it is all about… I LIKE! 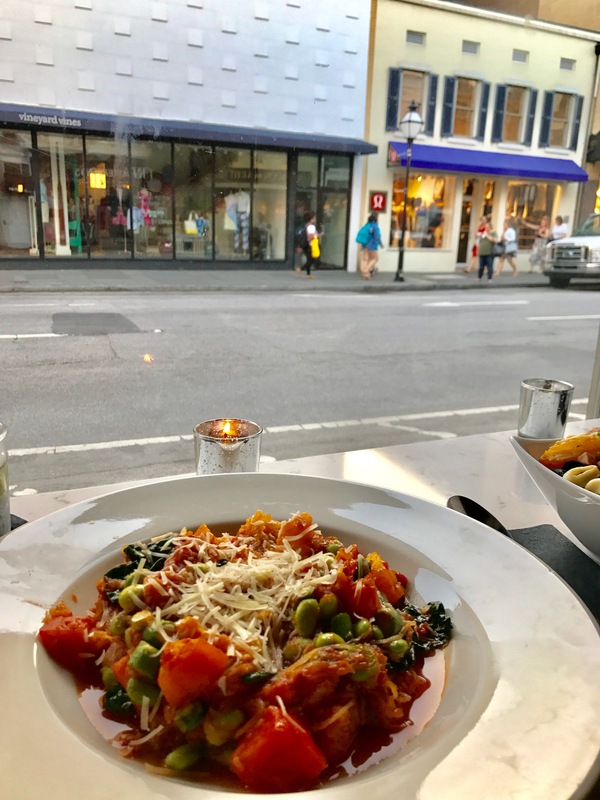 I will return…that is hard to say as Charleston has so many mouth watering eateries so if something has me yearning for a return, that says something! The two dishes that I experienced are shown below. The Awendaw 10 Mile Boil will not disappoint with a Lowcountry mixture of shrimp, mussels, calamari, sausage and corn! The Spaghetti Squash dish was loaded with stewed local tomatoes, edamame, greens, okra all over spaghetti squash. It reminded me of the shrimp creole my mom used to make but chocked full of veggies! If you go, ask for Brittany! She took excellent care of us and is knowledgeable, friendly and provides excellent service! 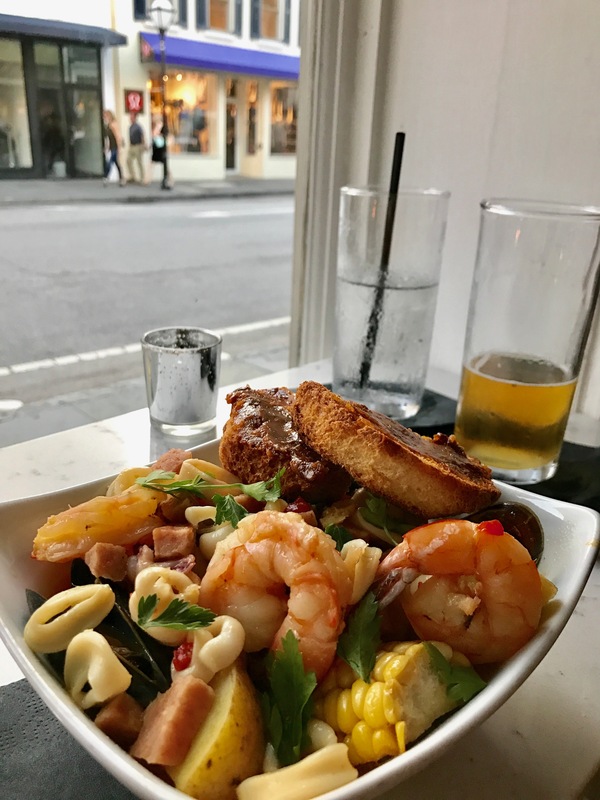 Prev: Dog Friendly Charleston: Eat and drink with your hound!